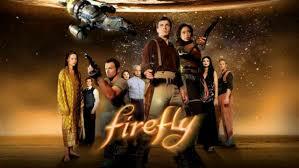 Recently, contact was made with a Krenim colony which had been temporally phased to escape the wrath of the Vaadwaur. These survivors and their allies in the Zahl and the Nihydron have formed a new Coalition to withstand the dangers they face, and have together promised their aid to the Alliance of Federation, Klingon and Romulan representatives attempting to end the Iconian threat. The Krenim Coalition will use time itself as a weapon against their enemies. We know that the Voyager episodes known collectively as “Year of Hell” are widely considered by fans of the show as some of the best and most exciting adventures that crew undertook during their years in the Delta Quadrant. Bringing references from those episodes into Star Trek Online presents a significant challenge however, since the Year of Hell technically never happened. But with the decision to include the Krenim and their time-manipulating technology in the Iconian War story arc, we were excited to explore this incredibly rich storyline, and bring some of those experiences to our players. First we had to figure out a way to explain how they fit into the current events of our galaxy. In the wake of the damages caused by the Vaadwaur onslaught in the Delta Quadrant, a new coalition has risen from the ashes of once-great civilizations such as the Mawasi, Zahl, Nihydron and others. All of these species were adversely affected by the Vaadwaur. The combined assets of this fledgling alliance make up the bulk of the prizes that players will gain access to with the release of the Year of Hell Lock Box. Before we list out the prizes being made available, we’d like to take a few minutes to inform you all of some “under the hood” changes that have been made for this upcoming Lock Box. In an effort to improve a feeling of worth when opening every Lock Box, the lower-tier prizes normally offered will be undergoing some noteworthy changes. Firstly, we have removed Mini-Packs from the prize table. The removal of a prize with such a large chance of occurring means that all other prizes within this Lock Box have received a relative boost in their odds of dropping. Secondly, we have removed Small Boosts, and replaced them with Extra-Large Boosts. These new, larger Boosts include items such as 35,000 Fleet Credit Bonus Pools and 750 Mark Bonus Pools. The existing Large Boosts will have their odds of dropping increased to approximately the rate of the previous Small Boosts, while these new Extra-Large Boosts remain a bit rarer. Additionally, the Weapons Pack that will be found in this Lock Box will offer players that open the pack a choice of the type of weapon they would like to receive – Cannons or Beams. No Ground Weapons will be offered this time around, but they will likely return in future weapon packs. And last, though certainly not least, we have made subtle improvements to the drop rates of all prizes within this upcoming Lock Box, so that high-tier prizes such as Trait Packs and Unique Duty Officers will be slightly more common, while Weapon Packs and other lower-tier prizes will appear with a bit less frequency. Our hope with these changes is that we’ve managed to further reinforce the sense of value that players feel each time they use a Master Key to open a Lock Box. While these changes will be restricted to the Year of Hell Lock Box for the time being, we are considering updating older boxes with similar changes if they receive a positive reception. Our Grand Prize this time around is the formidable Krenim Imperium Warship [T6]. While this impressive vessel may be slower and less maneuverable than many destroyers and escorts, it makes up for this with greater weaponry and more durable hull and shielding. It boasts both Intelligence and Pilot bridge officer seats. The versatile and durable Zahl Heavy Cruiser [T6] will be appearing as a new addition to the Lobi Crystal Store. It boasts a seating arrangement that includes both Intelligence and Command Bridge Officer seats. In addition to these two fine vessels, the Nihydron Destroyer can also be obtained from this Lock Box. As a Tier 5 starship, this vessel maintains the capability of equipping both consoles from the other Coalition starships. This ship may also be upgraded to T5-U with the use of a Starship Upgrade Requisition. ** Complete information on all of the above starships, including details on their Consoles and Starship Mastery Traits, will appear in a future Dev Blog. You gain situational bonuses, depending upon the compilation of your team. For each Player on your team, you will gain a different personal bonus depending on their profession (Engineer, Science, Tactical). When defeated, you are returned to fight briefly. During this period of time, you will deal additional damage while remaining immune to all incoming damage and control effects. When this expires, you will immediately collapse. Can only trigger max once per 120sec. When defeated, your ship is returned to functionality briefly. During this period of time, you will deal additional damage while remaining immune to all incoming damage and control effects. When this expires, your ship immediately explodes. Members of this new Coalition are also willing to offer their services upon starships of Federation, Klingon and Romulan captains. Krenim Temporal Specialists are Duty Officers that possess existing Active Roster abilities that are either highly sought-after or exceedingly rare. They are all of Very Rare quality, have the “Resolve” Trait, and an R&D School specialization appropriate to their specialization. The members of this new Coalition have gone to great lengths to build tactics and technology that work in tandem with one another. Their Coalition Disruptor Weapon Crates represent perhaps the pinnacle of this philosophy, in the form of space weaponry designed to operate more effectively the more starships utilize it. The special Disruptor proc from Coalition weapons is more effective than standard disruptor procs, and can stack higher, but only affects the foes' resistance to Disruptor Damage. All weapons contained within these crates are of purple quality, and contain the special procs of Coalition Disruptor weapons, in addition to other random modifiers. And, as mentioned above, players will be given the opportunity to choose whether they would like to receive a Cannon Weapon or a Beam Weapon when opening this package. The Lobi Crystal Store will also see a new addition, in the form of a highly requested new Vanity Pet. A total of five (5) new breeds of Beagle Vanity Pets can be obtained, each with unique coloring and patterns to their fur. These adorable puppies are anxious to join your crew! Additional tasks for these new additions to your Roster can be obtained, in the form of Temporal Investigations. 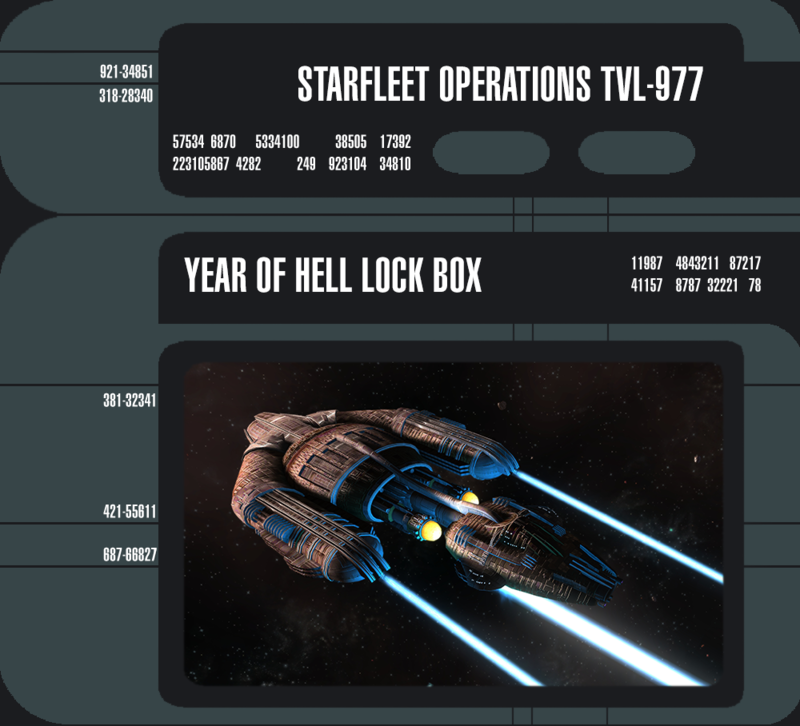 Special assignment tokens known as Temporal Investigation Assignments will sometimes be gained by opening the Year of Hell Lock Box, each of which grants the opportunity to investigate temporal anomalies made famous by episodes of the various Star Trek series. Each of these Assignments reward a great amount of Skill Points and Dilithium Ore. Completing the whole set also unlocks a unique Title and 10,000 Dilithium Ore, while getting a Critical Success on all of them grants an additional 50,000 Dilithium Ore as well as a more prestigious Title. All of the above offerings will become available with the launch of Season 10.5 on July 16, 2015.